From a small town girl who believed in a dream to a girl who finally lived her dream. My full name is Marcelina Nadya Selamat. I was born in South Sumatera Island, Palembang, Indonesia. However, I moved and was raised in Jambi until I was 13 years old before I moved to Singapore to continue my Education. I finished my secondary school and received the 'O' Level Certificate when I was 16. The chef's life and kitchen life have made me curious since I was 14 and experimenting with new cake recipes has been a hobby of mine ever since. I remember the very first time I found out about Le Cordon Bleu. I saw it on the back of a magazine while I was on a ferry to Singapore. At that moment, it was the first time in my life that I found something that I really want more than anything in the world, and I'm willing to give everything that I have in order to get it. I called that falling in love. I finished my secondary school at a very young age, which made it difficult for me to find a culinary school that allows an underage students to enroll. My parents prevented me from traveling on my own, the reason is because I was too young to live on my own, so I moved to Melbourne, Australia in February 2013 with my mother. I studied Hospitality and Patisserie at William Angliss Institute for one semester (6 months). 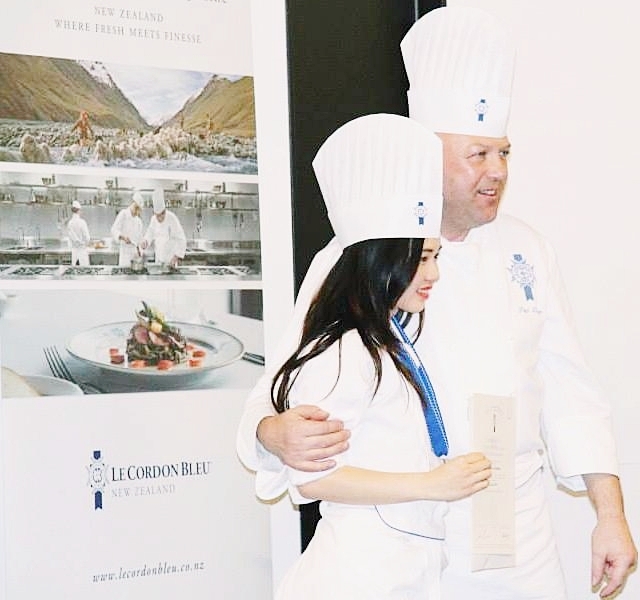 I moved to Le Cordon Bleu Wellington, New Zealand in October 2013 after I was given a chance from my parents to travel. It was most definitely a dream come true. I was in the Le Grand Diplome course which is a combination of two courses of Diplome de Cuisine and Diplome de Patisserie. I decided to do both at the same time and it was the best decision that I've ever made. I graduated in May 2014 when I was 17. From working in a professional kitchen to becoming a home cook. After I graduated, I initially planned to continue my education in Paris. For some reasons, my plan did not work out and I ended up moving to Jakarta, Indonesia. I started taking cake courses and local food courses. On 20th January 2015, I have officially established Nana Cake Boutique. No, I did not start off the business with a beautifully designed logo and cake photos taken under the perfect light.